I swear we just finished up with Halloween! 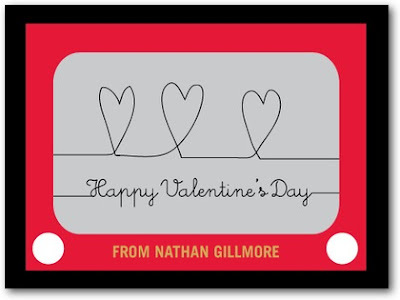 I've never been huge on the whole Valentine's thing, and getting a phone call at dinner time on Valentine's Day 12 years ago has forever further tainted my perception of Valentine's Day. I have fond memories of Valentine's Day as a kid...making awesome Valentine's Day card boxes out of shoe boxes and Quaker Oatmeal containers...Do kids still do that these days? What I do know is that they do (have the option to) exchange Valentine's Cards with their classmates and they celebrate with a little party...so at least there is that. 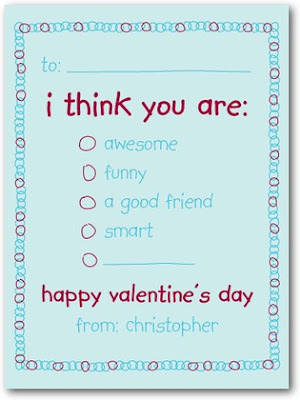 Who doesn't love getting Valentine's Cards from their friends? 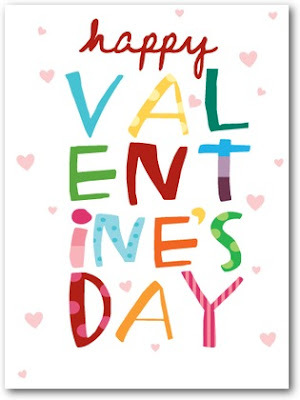 Me, I really do love any excuse to give feel good mail to people we love and care about - and that means looking no further than the vast selection of Valentine's cards from Tiny Prints! And for those of you interested in Pinterest - Tiny Prints Boards are HERE! but a day to let those we love and care about know it's true? How can you really go wrong with that? 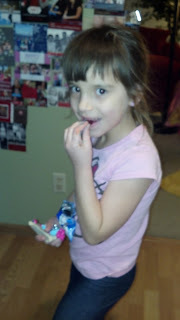 I'm looking forward to volunteering in the kindergarten classroom for the Valentine's Party. 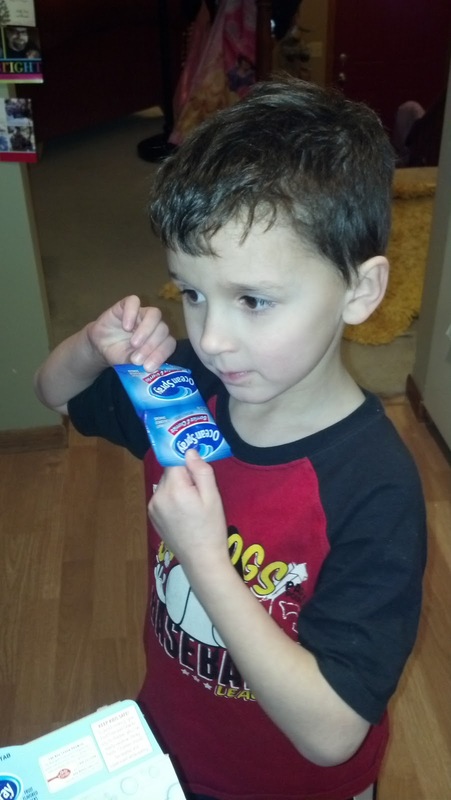 How do you make Valentine's Day special? 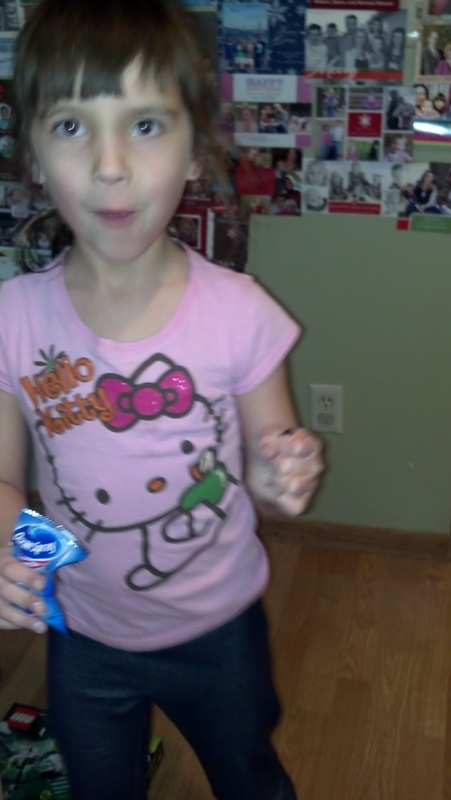 When we received the new Ocean Spray Fruit Snacks - The kids were over the moon! †Made with real fruit juice and natural colors and flavors...& just 80 calories, gluten free and contain 100% of the Daily Value of Vitamin C...I'm pretty happy with this snack too! That's right...Ocean Spray Fruit Snacks are available with year round Double Box Tops! 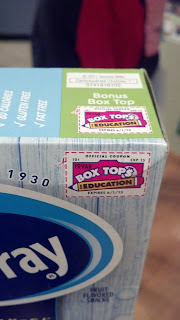 We all know how important collecting those box tops are don't we? 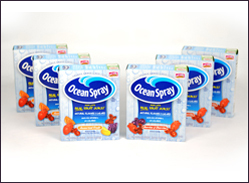 The fine folks from MyBlogSpark and Ocean Spray are giving FOUR lucky readers of Gust Gab...that's right...FOUR winners...SIX boxes of their new Fruit Snacks! Just play along with the Rafflecopter link below and enter as many times as you wish - it just takes one to win!